There is much to think about before you decide to open a second restaurant location, primarily why you want to do it; if you weigh up the options and decide it’s for you, then good, you’re on the right track. However, one thing you’ll need to bear in mind is how it’ll affect your staff. It might not have been at the top of the list of considerations when you weigh up the pros and cons, but beware: it’ll have a more significant impact on them than you might think. First of all, let’s think about this: if all of your attention is going into planning your new restaurant, who’s running things at your original location? 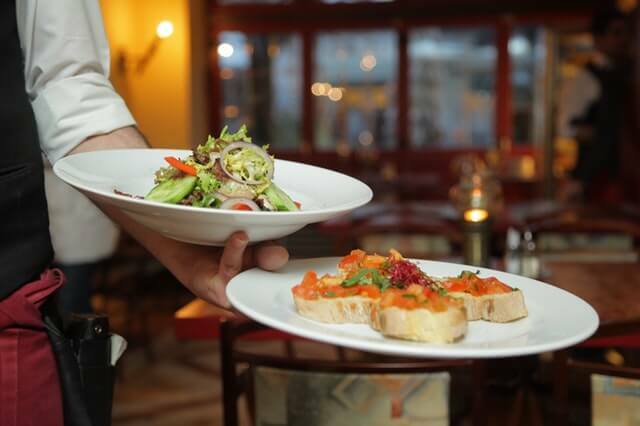 While it’s fair to assume that the restaurant can function as usual for a few days, if you are absent for months then you’ll need to consider how this will affect your staff. Morale can suffer pretty quickly, and once that sets in then you’ll need to make a special effort to get it back up to standards. In other words, make sure it doesn’t seem like you’re abandoning your staff just because you’re excited about your new venture. There’s another issue that might affect staff morale too, and it’s likely one that you haven’t thought of. If you’re diverting all of the funds from your primary establishment to fund your growth, then standards will invariably slip. Morale plummets when workers have to work under cost-cutting measures, so make sure that you have funding for your growth that doesn’t rely on the success of your primary restaurant. If you need a loan to help fund your growth, then this website can tell you more. It’s a golden rule that the standards of your first place must not slip; don’t jeopardize what you already have for what you might have in the future! On the other hand, opening a second site is a good opportunity to reward the staff who have shown themselves to be good workers with a promotion. In your absence, everyone can be bumped up a level! Or so the idea goes in theory. Even if not in title, it’s a chance to show your faith in your workers by giving them more responsibility at your restaurant. Nothing boosts an employee’s engagement like trust! It’s going to be a stressful time for you, your family, and your employees. Opening one restaurant is tough enough; opening a second, while trying to maintain the standards of the first, is an epic task. You’ll be pushing your staff to the limit, and if they have faith in you, then they’ll know that their extra work is for a good cause. However, you shouldn’t abuse this faith. If they’re working hard for you when you need it, make sure you’re rewarding them when you’re able to. As we’ve shown, opening a second site is about more than just your determination: it affects everyone in your restaurant family.